Feast of the Fields is an event celebrating the farm-fresh bounty available in Saratoga County and surrounding areas, and our volunteer chefs get to partner with many wonderful area farms to create unique, tasty, and healthy dishes. Saratoga PLAN is extremely grateful for the tremendous contributions made by our local farms to the quality of life in this region, and we hope that you learn to appreciate them even more after tasting what they produce. Please welcome the following farms to Feast of the Fields 2017! Argyle Cheese Farmer, located in Argyle, was founded in 2007 by Dave and Marge Randles as “the Cheese House” processing milk into yogurt, buttermilk and cheese. 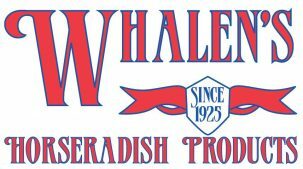 The processing facility is located on the family dairy farmstead of 225 acres that’s been in operation since 1860. They produce yogurts, cheeses, cheese spreads, cheesecakes, breads, Greek yogurt, gelato and most recently, cultured, whole buttermilk. 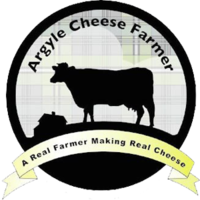 Argyle Cheese Farmer is also the first in the area to offer yogurt in a recyclable, returnable glass container. Bowman Orchards in Rexford invites you to enjoy nature’s beauty on ninety-eight tree-filled acres with over 46 varieties of apples. The Bowman Family also grows strawberries, raspberries, pumpkins, pears, peaches, blackberries, and much more! Bowman Orchards features pick your own apples, berry picking, and so many more seasonal activities. Cliff’s Vegetables produces seasonal produce, including fresh squash, tomatoes, kale, potatoes, and other healthy veggies. Dancing Ewe Farm is truly dedicated to preserving the art, technique, and cultural surrounding of Tuscan style cheese making, Salumi and Olive Oil. Denison Farm is committed to organic agriculture and is certified USDA Organic. The 164-acre Schaghticoke farm is comprised of rich bottomland, wooded ridges, pasture, hayfields, marshes, and streams. The farm has a 21-year history of organic management and CSA marketing. *Elihu Farm in Easton is passionate about pasture. They raise sheep and lambs, laying hens, ducks and geese on rotated pasture. Many customers say their lamb and eggs are the best ever. Their Romney and Natural Colored sheep and their fleeces have won many awards at fairs and festivals. *Featherbed Lane Farm is 63 acres of mixed woods, wetlands and fields. Farmer Tim Biello strives to run a successful farm business that produces nutritious foods while building soils, caring for their livestock, stewarding the land, respecting their employees and contributing to the community. Biello says the main reason why he farms with draft horses is he enjoys the process of working, learning, communicating and growing with them, and he loves doing it! *Hand Melon Farm is a 425-acre working farm in Greenwich. They are always busy with over 20 crops that are raised for market, and pick-your-own crops including strawberries, blueberries, raspberries, tomatoes, sweet and hot peppers, eggplant, and fall squash. Learn more on Facebook. Hanehan Family Farmstand in Saratoga carries a variety of pumpkins, pie pumpkins, gourds and squash. Specialty items include Jarrahdales, Long Island Cheese Pumpkins, white Silver Moon Pumpkins, and beautiful red “Cinderella” Pumpkins. Knight Orchards in Burnt Hills has been family owned since 1907. 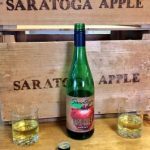 They grow apples, pears, and plums, and produce fresh pressed cider. Check out their store for local maple syrup and honey, homemade pies and tea breads, chocolates, and gift baskets. Luckey Bee Apiary, in North Easton, produces local raw honey. Fred and Flo Luckey have also branched out into distilling eau-de-vie spirits from their heirloom apple orchard. 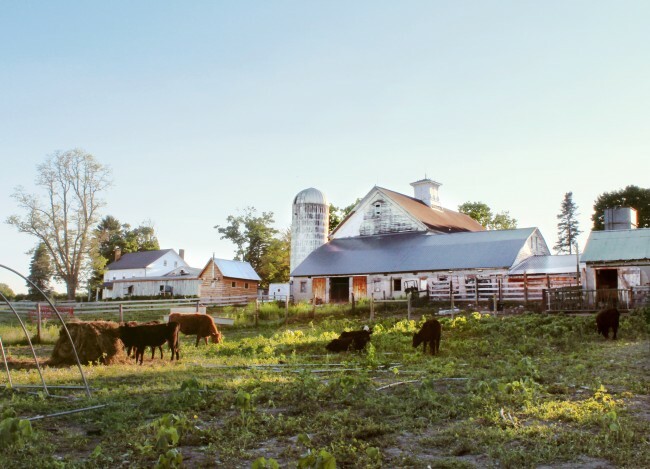 Mack Brin Farms is a small family farm located in Ballston Spa. Tending 56 pristine acres, Mack Brin Farms believes in “quietly farming,” working with nature to find peace, harmony, and balance in their farming ventures. Mack Brin Farms grows and produces pastured roaster chickens, free range brown eggs, and heritage cage-free meat rabbits. Maplebrook Farm produces handmade artisanal cheeses in the Green Mountains of Vermont. Now offering over twelve cheeses, Maplebrook Farm uses old world cheesemaking techniques to produce fresh quality products, with remarkable flavor and texture. Maple Valley Farm’s Donald, Susan, Scott and Timothy Monica represent the 5th generation of the Monica family working the farm in Corinth. They tap 2,000 maple trees and produce 500 gallons of syrup a year, available at The Barn in Corinth and at the Menands Regional Farmers’ Market on Saturdays. Mariaville Mushroom Men cultivates gourmet mushrooms. They promote the health benefits of many varieties of edible mushrooms, and aim to educate the community on cultivating and identifying these special fungi. They also make special and tasty mushroom teas and raise livestock. Pitney Meadows Community Farm, located on the west side of Saratoga Springs, provides land for community farming, a training farm for those interested in learning the profession, nature trails, community events, and more. Pleasant Valley Farm in Argyle has over 40 varieties of diverse fruit and vegetable crops, which are grown with organic methods. Paul and Sandy Arnold have been farming for over 23 years, and have enjoyed farming as their sole source of income for more than 20 years. Shushan Valley Hydro Farm in the Town of Salem was established by Wayne and Phyllis Underwood on an old dairy farm. The farm has four bays covering only a quarter of an acre, providing herbicide and insecticide free tomatoes on a year round basis. Another similarly sized bay provides herbs. *St. Croix Farm is a family farm in Valley Falls, operated by the Moores since 1932. 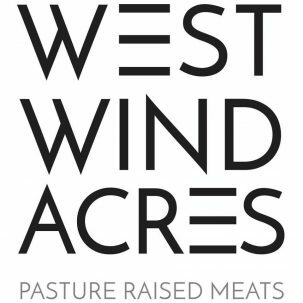 They raise pasture-based beef cattle, poultry and rabbit offered for sale year-round to individuals and restaurants. St. Croix Farm is also a licensed pheasant shooting preserve. West Wind Acres is located in West Charlton. Joshua and Stefanie Rockwood provide families, friends, and the region with an option for healthy food. Their products, including eggs, 100% grass fed beef, pastured pork, and pasture raised chicken and turkey, are raised humanely, and in a manner that is close to how they would grow and flourish naturally. Winney’s Blueberry Farm has been in Byron Winney’s family for over 100 years. This extensive pick-your-own and pre-picked blueberry and currant farm in Bacon Hill features lowbush and highbush blueberry varieties which offer an extended season through the summer and early fall. *Wm. H. Buckley Farm offers 100% grass-fed beef, along with pork, chicken and eggs that are all non soy and non GMO. They raise all of their animals without hormones or antibiotics and they are all free-range. They are committed to using sustainable agricultural practices. Cobram Estate of Boundary Bend makes ruthlessly fresh, gloriously unrefined extra virgin olive oil that tastes fancy so you don’t have to be. Their groves in California’s Sacramento Valley and Australia’s Murray Valley allow them to bottle the freshest olive oil naturally possible – twice a year. Lou “The Wood Guy” Faraone, proprietor of Seasoned Gourmet Firewood, located in Wilton, has been supplying the tri-county area with quality seasoned firewood for more than 20 years. Meghan E. Baker supplied fresh pine needles. Native Farm Flowers is a farm florist, offering arrangements, wreaths, hand-painted oil cloth and unusual garden creations in Greenfield Center. R&G Cheese Makers of Troy take pride and care to ensure that only the highest quality cheeses and yogurt grace your table. Roma Foods Importing Company is a deli, butcher, grocery, and catering legend in Saratoga Springs, providing fresh mozzarella for the Feast of the Fields. Saratoga Crackers creates clean, fresh, and delicious crackers by hand fifteen minutes from the historic Saratoga Springs Racetrack.